Naxos, is the largest island of Cyclades and it is located in the center of this complex, between Paros and Mykonos. 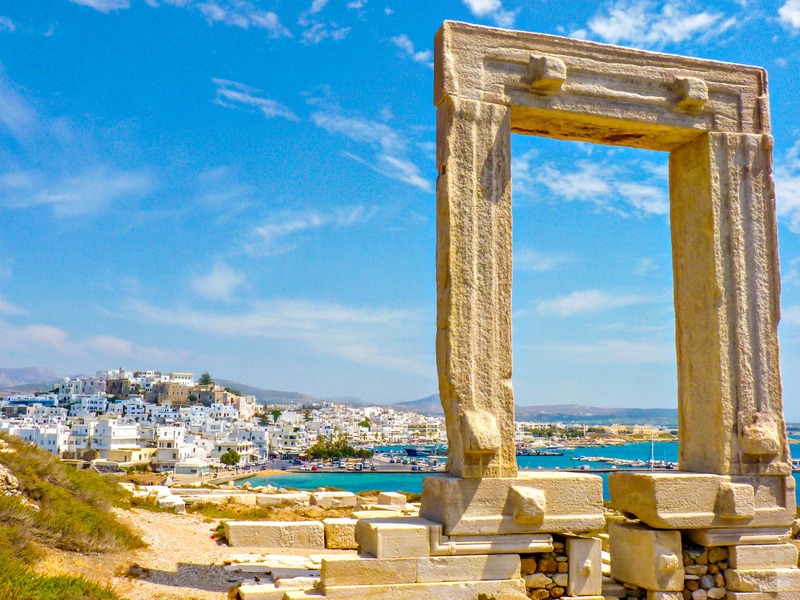 Naxos is famous for the long sandy and exotic beaches, the interesting sightseeing and traditional footpaths to follow between villages, churches and other sights. Is one of the most favorite summer destinations due to its numberless beaches. Ideal for families and sport’s lovers, such as Agia Anna beach, Agios Georgios, Agios Prokopios, Plaka and Mikri Vigla are the ideal places to go. For those who are looking for quite and isolated beaches, Plaka, Panermos, the marble-pebble beach of Apollonas Orkos, Kastraki, Pyrgaki, Alyko and Ayiassos are ideal and among the most beautiful beaches on the island. A drive around the centre of the island brings visitors to traditional villages and interesting historical sites. Náxos is also an island of beautiful old churches, monasteries and Venetian castles coexisting harmoniously with Cycladic cubic houses. Island hopping is a great way to discover a world of Naxos charm. It begins with the nearby islands known as the Small Cyclades: Iraklia, Schinoussa, Koufonissia and Donoussa and other top destinations such as Santorini, Ios, Mykonos, Delos, Paros, Antiparos, Syros, Amorgos, Folegandros. An ideal holiday island that offers pleasures for every taste, from authentic beauty and tranquility, to cosmopolitan aura and vivid nightlife!